Nadine Franz, MS, PHR, CPRW, CPCC, SHRM-CP is the Founder of APEX Career Services, a firm that assists professionals seeking to enhance their current careers or desiring to change career paths. Nadine’s expertise in career and personal branding for entry to mid-level professionals seeking advancements, as well as directors and executives, make her an outstanding resource for career improvement. She is incredibly passionate about helping others, most especially hardworking people who lack the know-how or connections to brand themselves for the jobs they seek. In addition to holding a Bachelor of Arts in Anthropology from Brandeis University and a Master of Science in Human Resource Development & Administration from Barry University, Nadine serves as a college instructor of human resources to undergraduate and graduate students. Altogether, Nadine brings over ten years’ experience in human resource management, recruiting, and instruction to the table, all of which puts her top in her field as she brings this expertise to job seekers. 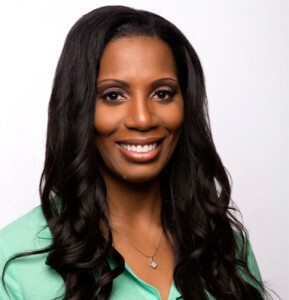 Additionally, Nadine is a certified Professional in Human Resources (PHR) through the Human Resource Certification Institute (HRCI), a Certified Professional Resume Writer (CPRW) through PARWCC, a Certified Professional Career Coach (CPCC), SHRM Certified Professional (SHRM-CP), a member of the Professional Association of Resume Writers and Career Coaches (PARWCC), a member of the National Resume Writers Association (NRWA), a member of the Society for Human Resource Management (SHRM), a member of Cambridge Who’s Who, a member of Kansas City Recruiter Roundtable (KCRR), a member of Employers Practices Network of Kansas City (EPNKC), as well as an Associate with Career Thought Leaders Consortium. As a Certified Professional Career Coach, Certified Professional Resume Writer and personal brand strategist, Nadine focuses on career makeovers. She uses her human resource and recruiting background to strategically partner with bright and talented professionals seeking more meaningful work which is consistent with their values, lifestyle, and goals. Nadine helps professionals discover their true selves and assists them with a clear outlook and a renewed sense of commitment to themselves. She guides them to clarity, a renewed sense of direction, and an actionable career reinvention plan. Whether you are a person seeking employment as a result of a sudden and unforeseen job loss, a member of the military seeking to enter the civilian job market, a stay-at-home parent returning to the workforce after a long hiatus, a mid–career professional suffering from burn-out, a student new to the job market, or simply someone with a desire to climb the corporate ladder, explore a new career, or start a business venture, partnering with Nadine is the first important step to achieving your career goals as she works with you to create a clear and guided career reinvention plan. On a personal note, Nadine very much enjoys traveling and exercising with her husband Kevin—a lifestyle made possible through careful career management by tapping into a career path that she absolutely loves. Nadine’s overall motivation for moving from the human resource and recruiting side of her career to that of a career coach is simple: she has an unbelievable passion and desire to educate career seekers on the necessary skills needed to improve their careers and lives. After many years in recruiting and human resource management, she was very surprised at how ill-prepared and poorly branded most candidates were when job hunting. Her compassion for people and a belief that everyone deserves happiness and contentment in their respective careers has brought Nadine to her current resolve: helping others take their careers to new heights. Begin a new and exciting career path today by contacting Nadine Franz.